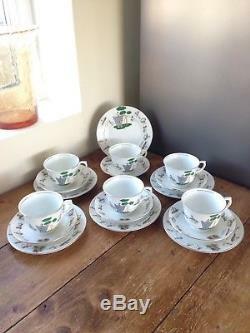 Here we have a wonderful, rare set of 6 Colclough china tea trio's. 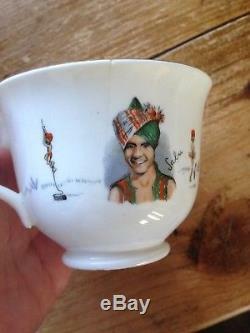 They come in the rare and popular "Sabu" pattern. 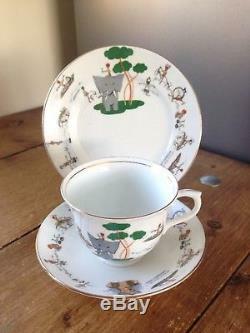 The pattern is lovely, it features various images of Sabu, tigers & elephants surrounded by trees. 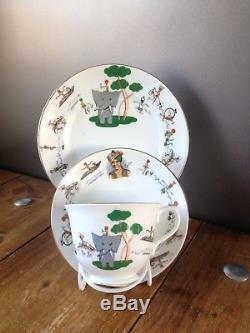 It's a wonderful design, perfect for a collector of Colclough, vintage china or an enthusiast of Sabu Dastagir. 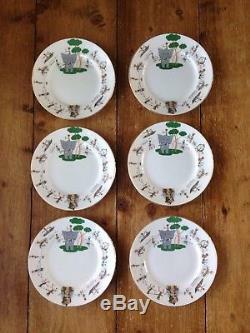 The side plates measure just over 6.5 inches in diameter, the saucers just over 5.25 inches and the cups are just over 4 inches by 2.75 inches. If you have any questions please do not hesitate to ask. 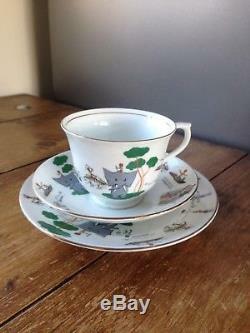 Please see my other items where I have a few other items from this set. Please add me to your favourites list and take a look at my other items as I have hundreds that will be listed daily in the up and coming weeks. I use new & recycled materials to ensure that your item arrives to you safely. I pack all of my items the best I can which you will see from my feedback. Collection in person is also available on all of my items. Here are a few links regarding Royal Mails compensation policies and how to make a claim if necessary. 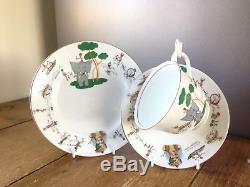 RARE 6 COLCLOUGH CHINA SABU PATTERN TEA SET TRIOS CUP SAUCER & SIDE PLATE" is in sale since Monday, April 23, 2018. 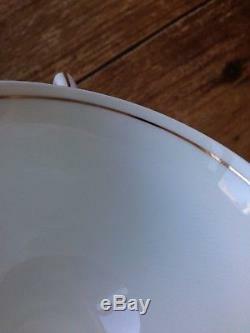 This item is in the category "Pottery, Porcelain & Glass\Porcelain/China\Colclough". 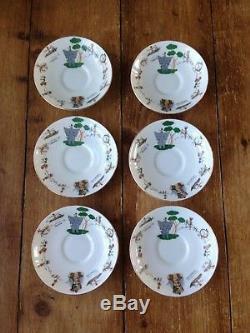 The seller is "richiesrandomrelics" and is located in GAERWEN, ANGLESEY..